And that was all that shined over here, alas. What penance doth I need to serve? What sin doeth I need forgiveness? Where even the counselor had little to say. Even when I cannot see, feel, or touch His face. Is this my fate, I ask to the silence around me? Perhaps it is. Perhaps nothing will ever change. In Christ there are no “coincidences,” just Divine touchstones: those events orchestrated by the Lord for our good, for His glory. Sometimes we get to see His hand and sometimes we don’t. And other times things look too dark to come from our loving, sovereign, holy Father. These can all be quite mysterious this side of heaven, eh? Less so for me these days. My faith has grown to trust the Lord in all things (even the ones I don’t understand). Allow me to elaborate from my world of late. I was walking into a medical appointment today and saw a glove lying on the sidewalk next to an adjacent garage. I used a tissue to pick it up since it looked soiled then I noted that it looked quite familiar. Yes, it was the glove I had “temporarily misplaced” last week! But how could it have remained here in this sort of prominent place unnoticed for seven whole days? Who knows? Chances are that I dropped it off my lap onto the blacktop when I exited my vehicle and it simply blew over to the sidewalk inch by inch until it’s black silhouette was easier to see against the lighter-colored cement. The staff person in the office helped me figure it out. I was dumbfounded! Similarly, I have found little God-moments in the arduous process of transitioning from IV infusions at an outpatient clinic to my home. When you are forced into a private-pay healthcare service there is no one to assist you with navigating the 18 agencies, 6 pharmacy/supply companies, coordination of care, financial arrangements, medical orders, and “GO” button to make it all happen within a week of making the decision to do all of this. Today was treatment day number 2! Whew and thank you Lord! I have been taking more naps since it all came together probably due to the stress of it all more than anything else. There is still more to do but hey, no worries. I’m on it! The research the Lord empowered me to do has become another blessing. First, the pharmacy I initially chose did not have the Safe Set Huber needle that would work better than what I had been sent to access my power port. My nurse was able to quickly contact another provider on my list to have the one pictured above and some other supplies sent to my home in time for treatment #3. No problemmo, the pharmacist essentially personally texted me from her home late Friday afternoon. Now that’s service! In another example, it looked like renting 2 infusion pumps would add a lot of expense and complexity to the home care until a “mistake” happened during one of my last treatments at the outpatient clinic. The lab mixed the reconstituted antibiotic with the 500 cc of normal saline instead of dispensing them separately. This would change the dosing that we had landed on to prevent seizure attacks during the hour-long infusions. As it turns out, I tolerated the combined treatments just fine. So there would be no need for the rental of 2 pumps, no extra expense, and not even a need for expensive, pre-filled “ball” or elastomeric pumps. I ordered an IV pole ($20) and the meds pre-mixed into the bag of fluids instead. Cool beans. But all this still does not mean that I want to become a nurse ya know! One of the movies that has really resonated deeply with me is, The Breakfast Club. Please see my previous post for the catchy theme song that underscored the film and one of the most poignant scenes that is also pertinent to Part 2 of this 3-part blog. But how well does he really know me? Sure, my Lord crafted me before I was born and set forth all that I would be, all that I would endure and accomplish. His Words in Psalm 139 declare that He knows my “innermost being.” Does this include the longing of my heart as well? If it does, why has He allowed me to become so dreadfully isolated? Maybe someday I will get to see why so many family and friends have chosen to “walk on by” me as it says in the theme song of The Breakfast Club. Have I not been a good friend? Maybe I was not. I remember about two years into this ordeal someone contacted me and asked me about getting together for coffee. I replied “yes” and then I never heard from her again. My spirits had soared then crashed and burned. For believers in Jesus Christ, the answer to the “why” question is usually left for eternity. We simply may never know “why” this side of heaven. Those of you not living in isolation may not have any idea how much Satan uses this experience to tear a person down. He can prey upon all of our negative emotions and be allowed to create havoc in our lives. (Yes, ultimately God is still in charge!) Yet I know that it’s really not about resisting Satan or about losing the people in my life. I resist the devil and his demons with the sword of the spirit: the Word of God as described in Ephesians 6:10-17. People come and go in our lives and that is the normal ebb and flow of life. It really is about my response to the taunting, the loss of these relationships. My challenge has been particularly great due to the effect that this chronic illness has had on my brain. Responding to Satan’s lies and the loss of relationships has been affected by the change in brain chemistry that came with chronic illness. My ability claim victory in the name of Jesus Christ and fully embody the companionship of my Lord have been affected. Satan’s lies have been magnified. My social skills have eroded. My ability to think clearly has been altered. And I struggled to override these skill deficits but could not, even if I tried. Allow me to explain. Only recently did we discover that excessive neurotransmitters called catecholamines (epinephrine, norephinephrine, and dopamine) are likely contributing to my mood changes, thinking and communication skills in addition to possibly causing the convulsive episodes. This is happening due to the expression or “turning on” of polymorphisms (SNPs) or breaks in several enzymes that help form my DNA code. The DNA code is the instruction manual or blueprint from which the body functions. Everyone has a unique combination of broken SNPs that get turned on by illness or significant stressors in the environment (such as exposure to mold). For me the factors included everything that I have written about in this blog: biotoxin illness/hepatitis, latent Lyme disease, Candida toxicity, mold illness, infected root-canaled teeth, and mercury toxicity. That’s a lot of stressors! These illness and environmental challenges became a trigger for disaster. I even have the data to prove it, all of it! 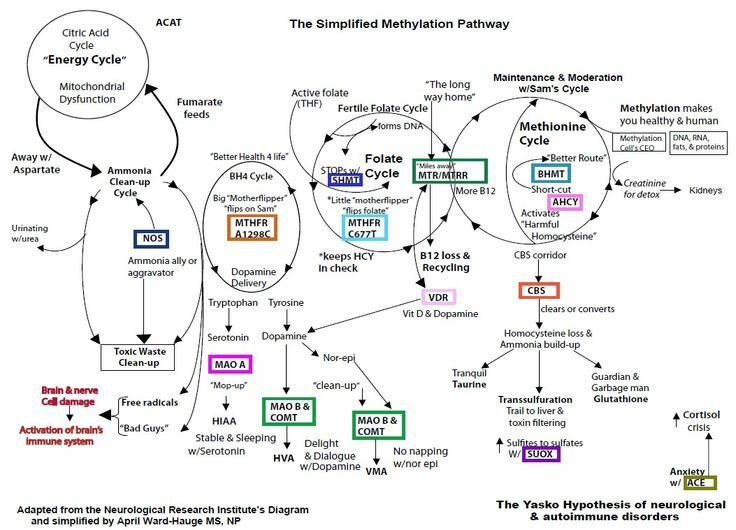 For some people this process manifests as a Mitochondrial Disease or a disruption in the methylation cycle inside the nucleus of the cells of our bodies. My thought life was affected. My mood was affected too. I had waking and nightly nightmares not based in any reality past or present. Those were internal things that my beloved husband, Steve, and the healthcare community could not see very often. Several healthcare practitioners labeled me as having a mental illness of sorts, often without even completing a mental status exam or workup! Gratefully, Steve believed me. They all saw the wretched convulsive episodes that have plagued me for hours every day for 3 1/2 years. And Satan was allowed to enter into the whole dynamic with lies and attacks that I will definitely write about at another time. Absolute mental and physical wretchedness. But now the gig is up! Two days ago I woke up from a lovely nap after starting to treat this condition. I had my first 16 hours seizure-free! It’s as if someone turned on the lights in my brain! Not only do I have a formula for correcting the brain-part of the process but the prayers of deliverance against the spiritual warfare are taking hold. The cascade of negative mental, physical, social, emotional, and spiritual suffering is beginning to turn around. Lord willing, I am going to get well! My Jesus knows all about every aspect of what I have described here. He also knows the desires of my heart. How do I know this? My prayers long before this illness began was to become whole. I had been broken by the consequences of a hard life: events out of my control. Many times during trauma the Holy Spirit would bring encouraging scripture to me that kept me moving forward. Yeah, finding hope and finding myself has come through horrible, ongoing isolation and trauma. I have worked hard to recover from so much suffering in my heart, my mind, my body. Each step of the way has been both painful and meaningful. Yet I tell you, Gentle Reader that nothing has been wasted! 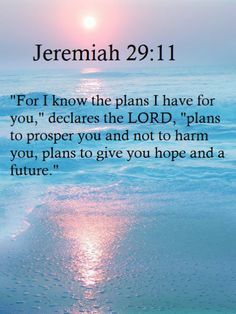 I have learned to trust the process in EVERY CIRCUMSTANCE under the protection of my Lord and Savior, Jesus Christ. And now the desires of my heart are being realized. Cool beans. So how does one rebirth the desires of one’s heart? To be continued in Part 3 . . .
For those of us around when the iconic movie of the 1985, The Breakfast Club, came out, we probably asked ourselves which character we liked the best. Was it the one called Sporto, the jock? Carl, the criminal? Brian, the brain? Molly Ringwald’s character, the princess? Or maybe it was the outcast gal in black? (what was her name?) Here’s a little refresher with the song that still gets my heart rate going, my feet tapping! How about you? Yes, I get this type of sorrow. Try being sick with a serious illness for coming up on 4 years and see who remembers your name? See who identifies with your struggles? See who bothers to ask, who bothers to call? The numbers have dwindled for me for sure. I have kept in touch with my closest friends from Illinois and made new friends in the recovery-from-this-or-that communities online. My beloved husband (whom I met then married here in Indiana), Steve, has hung in there through with me the worst of the torment, the lifestyle changes, the failed treatments, and the thousand-plus nights with disrupted sleep. (Watch these videos if you want to know what I am talking about.) Some folks I know have graciously followed this blog through it all. Thank you! I am always delighted when I hear from one or two of them now and then. Nice. Well sort of. It’s just not the same . . .
Oh how I wish I knew these words as a young woman when I first saw The Breakfast Club! What matters now is that I get to lean on these words all of the time now in the quiet, dark places I have visited when alone with my Lord. He has never forgotten about me. I have always felt His presence even in my greatest hours of suffering. He has spoken through the Holy Spirit often. I have never felt “lonely.” The Creator of the universe loves me! I am so grateful. To be continued in Part 2 . . .